NiSi Filters 75mm Professional Kit with NC CPL(M75 Holder GND filter ND filter). NiSi Filters 75mm Starter Kit with NC CPL (M75 Holder SOFT GND8 ND64 ND1000). NiSi Filters 75mm Professional Kit with Pro CPL(M75 Holder GND filter ND filter). Suitable for Canon PowerShot SX70, SX540 HS, SX530 HS, SX520 HS, SX70 HS, SX60 HS, SX50 HS, SX40 HS, SX30 IS, SX20 IS, SX10 IS, SX1 IS. The JJC RN-DC67A is designed to move along with the lens while zooming, preventing vignetting at the wide angle end of the zoom and providing filter coverage throughout the full optical zoom range of the lens. It was made to fit the Cokin P series filter holder. The first thing to do is to insert the adapter ring into the only slot in the back of the holder. 1x 58-77mm M-F Filter Adaptor Ring Converts 58mm lens thread to 77mm Step-Up. Good filters are expensive. With this converter ring help you can use your 77mm filter on 58mm thread lenses. 77mm Female (inner) thread. ADAPTER RINGS ADAPTER RINGS. FOR OTHER RINGS. COMPLAINTS ARE NOT ACCEPTED. YOU DISPATCH. Male to Male Macro Reverse Double Coupling Ring Adapter. Has two Male (outside) threads 52 and 58mm. Can be used in wide variety, for example, as macro reverse adapter ring - screw on your lens and you can attach another lens (in reverse) to your main lens. Female screw thread to filter: 42mm. This stepping adapter allows you to use42 mm filters / accessories on your lens with a39 mm thread. Also may be used for lens mount adapters. Hard, light, durable. (One side is 72mm male and another side is a bayonet for Canon 5D/5D Mk2/5D Mk3/6D/7D EOS Body. Suitable for 72mm (Female) front threaded lens. 3) Now the rear lens will be in the front. Reversing the lens increases its magnification, essentially making it a macro lens. This stepping adapter allows you to use 52mm filters / accessories on your lens with a 49mm lens filter ring. Male screw thread: 49mm. Stepping Step Up Filter Ring Adapter 49mm-52mm. Female screw thread: 52mm. This is an original Kood A Series filter holder, manufactured in the UK. It is also fully compatible with all Cokin A size filters. ONLY KOOD ADAPTER RINGS FIT THIS HOLDER,Cokin Adapter Rings DO NOT FIT. This stepping adapter allows you to use 49mm filters / accessories on your lens with a 48mm lens filter ring. Female screw thread: 49mm. Male screw thread: 48mm. Stepping Step Up Filter Ring Adapter 48mm-49mm. 49mm to 37mm 49-37 Step-Down Ring Filter Adapter. They are however genuine Kood products. For example - this stepping ring will mount onto a lens with a 37mm filter thread and allow you to fit a 46mm filter onto it. To Fit Lens Front (mm): 37mm. These are a brilliant idea because they allow you to buy one size of filter and then adapt it for use on the rest of your lenses. Allows 52mm filters and accessories to be used on 30.5mm filter threaded lenses. Rest of World Feel free to ask! Ring Type: 82mm Ring adapter for Cokin P Series. Cokin P Series. 82mm Ring adapter. Made of Aluminium (Ring) not plastic. Compatible with=. 1 x 82mm Step-up ring. 1 x 82mm Step-down ring. The ring adapter easily screws onto the front of any lens, and converts the thread size of your lens to the thread size of any other accessory (such as filters, hoods, flashes and lens converters). 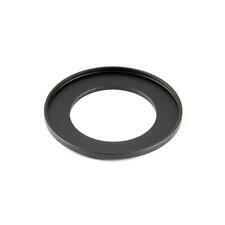 B50 to 67mm Filter Adapter Ring for Hasselblad. It will allow the use of standard 67mm screw on filters. Or if the product was sent to you in error by our staff. Detail Information. Our Office Working hours. This is the Third Party filter holder for Cokin P-series Square filters. Cokin P Series. Wide angle filter holder. Can hold 1 filter (can be a polarizer) and allows the use of filters with super wide lenses (focal lengths under 20mm) 35mm format. 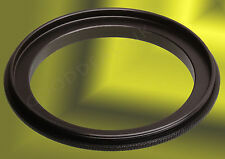 1x 43-55mm M-F Filter Adaptor Ring Converts 43mm lens thread to 55mm Step-Up. Good filters are expensive. With this converter ring help you can use your 55mm filter on 43mm thread lenses. 43mm Male (outside) thread. Fit the 55mm filter or other accessory to the adaptor ring female thread. Mount the 52mm male thread of the adaptor ring to lens thread (52mm filter thread). Female screw thread: 82mm. Male screw thread: 72mm. Stepping Step Up Filter Ring Adapter 72mm-82mm. This stepping adapter allows you to use82mm filters / accessories on your lens with a72mm lens filter ring. This stepping adapter allows you to use52 mm filters / accessories on your lens with a41.5 mm thread. Female screw thread to filter: 52mm. Hard, light, durable. 1x 55-72mm M-F Filter Adaptor Ring Converts 55mm lens thread to 72mm Step-Up. Good filters are expensive. With this converter ring help you can use your 72mm filter on 55mm thread lenses. 72mm Female (inner) thread. 77mm Female thread. 52mm Male threads to screw into lens. This Quality all aluminium stepping adapter allows you to use 77 mm filters on your lens which has a52 mm filter rin g. Step Up Ring. ADAPTER RINGS ADAPTER RINGS. FOR OTHER RINGS. Allows lenses with 49mm filter thread to accept 52mm filters or accessories. Material:aluminium alloy. Special aviation aluminum alloy, high strength, impact resistance, twist and pressure. Ultra-low chemical residues. Makeup Tool. If you are not fully satisfied with the product. (One side is 49mm male and another side is 58mm male. 1 x 49mm to 58mm Macro Reverse Ring. 3) Now the rear lens will be in the front. Reversing the lens increases its magnification, essentially making it a macro lens. B50 to 62mm Filter Adapter Ring for Hasselblad. Hasselblad 50mm to 62mm B50 to 62 Filter Adapter Ring. It will allow the use of standard 62mm screw on filters. Or if the product was sent to you in error by our staff. Special aviation aluminum alloy, high strength, impact resistance, twist and pressure. The female thread to filter: 72-67-62-58-55-52-49mm. 77mm (Lens thread) to 82mm (Filter). 77mm to 82mm Step up Lens Filter Adapter x 1. Fits 82mm Filter. --- Adapters can be stacked for convenience to allow you to find the perfect fit for your lens filter. 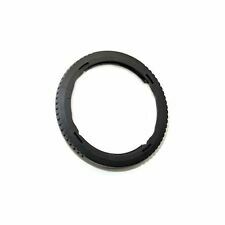 B60 to 62mm Filter Adapter Ring for Hasselblad. It will allow the use of standard 62mm screw on filters. Or if the product was sent to you in error by our staff. Detail Information. Our Office Working hours. (One side is 77mm male and another side is a bayonet for Canon 5D/5D Mk2/5D Mk3/6D/7D EOS Body. Suitable for 77mm (Female) front threaded lens. 1 x 77mm to Canon 5D/5D Mk2/5D Mk3/6D/7D Ring. 3) Now the rear lens will be in the front. This quality all aluminium stepping adapter allows you to use 72 mm filters on your lens / lenses with a 67 mm filter ring. Step Up Ring. 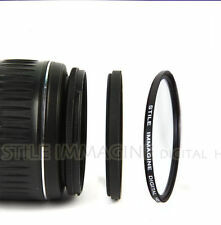 1x 52-62mm M-F Filter Adaptor Ring Converts 52mm lens thread to 62mm Step-Up. Good filters are expensive. With this converter ring help you can use your 62mm filter on 52mm thread lenses. 62mm Female (inner) thread. 1x 72-77mm M-F Filter Adaptor Ring Converts 72mm lens thread to 77mm Step-Up. Good filters are expensive. With this converter ring help you can use your 77mm filter on 72mm thread lenses. 77mm Female (inner) thread. Good filters are expensive. With this converter ring help you can use your 52mm filter on 40.5mm thread lenses. 52mm Female (inner) thread. Lenses, filters, other adaptor rings, macro extension tubes, screw lens hoods, screw macro lenses/filters, other screw thread lenses. Female screw thread for filter: 48mm. This stepping adapter allows you to use48 mm filters / accessories on your lens with a46 mm thread. Hard, light, durable. They are however genuine Kood products. For example - this stepping ring will mount onto a lens with a 60mm filter thread and allow you to fit a 67mm filter onto it. These are a brilliant idea because they allow you to buy one size of filter and then adapt it for use on the rest of your lenses. They are however genuine Kood products. For example - this stepping ring will mount onto a lens with a 46mm filter thread and allow you to fit a 48mm filter onto it. To Fit Lens Front (mm): 46mm. These are a brilliant idea because they allow you to buy one size of filter and then adapt it for use on the rest of your lenses. 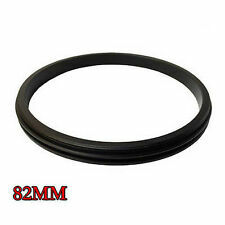 1x 62-72mm M-F Filter Adaptor Ring Converts 62mm lens thread to 72mm Step-Up. Good filters are expensive. With this converter ring help you can use your 72mm filter on 62mm thread lenses. 72mm Female (inner) thread. Allows 49mm filters and accessories to be used on 27mm filter threaded lenses. Rest of World Feel free to ask! (One side is 52mm male and another side is 62mm male. 1 x 52mm to 62mm Macro Reverse Ring. 3) Now the rear lens will be in the front. Reversing the lens increases its magnification, essentially making it a macro lens.